We Look After Your Business Success! The main goal of your business is to captivate clients. You have to find the way to make them remember you as the best option to solve their needs. Without doubts, the first impression that clients get of your business comes from your front door. That’s why is truly important to keep your front doors always looking and working correctly. To help you captivate clients, we offer superior commercial door repair and replacement in Chicago IL. It is vital that your clients perceive that you care about keeping your business premises intact. They will be confident you’ll place the same care to protect their client relationships with your business. Also, remember that excellent first impressions you create are worth business. Once a client passes by or stops in front of your business, he can formulate an opinion on your business. For instance, they can even know how trustworthy your company is based on the façade look. All that it takes to lure customers in is to have clean and inviting installations. If you have commercial glass doors, it’s better. First of all, they look modern and stylish. But commercial glass doors also pull customers by letting them see your products from outside. No matter what type of business you have, your doors must always work to perfection. Your company should not put obstacles to clients. Instead, it must create solutions for them. So, every good client relation starts by allowing the free movement of clients in and out. Thus, you should always facilitate happy customers to come in and get the exceptional products or services you offer. So, it doesn’t matter if you own a cloth, electronics, house supplies, hardware, or furnishing store, or a restaurant, hotel, bank, clinic, theater, or showroom, you should make sure your clients can freely enter and leave your business as they please. What is Our Expert Advice on Commercial Doors? Over almost four decades, we, The Chicago Door People, have been the leading door company in Chicago IL. Whether you need door replacement, door repair, or door installation in Chicago IL, we are the team to call. Since our humble start, we have served our clients with great diligence, incredible work ethic, and unmatched expertise. 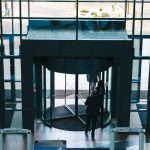 So, as experts in commercial door services, we highly recommend using either automatic or revolving doors. Also, there are many designs from which you can choose to be your business front door. Picking the right set of doors will call the attention of your clients, growing your business. 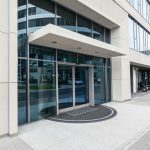 Both automatic and revolving doors look fantastic and aid to create the perfect business environment. Over these four decades, we have become the leading company for commercial door repair and replacement in Chicago IL. 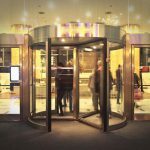 No matter if you have the most modern automatic or the most sophisticated revolving door, we surely can repair them all. Let the Best Door Installers in Chicago IL Work for You! Why Are We the Best Team for Your Door Repair and Replacement in Chicago IL? If your door is having a lot of trouble, this might be the right time to call our experts. We offer the most exceptional commercial door repair and replacement in Chicago IL. Nothing less! Over the last four decades, we, The Chicago Door People, have been the region’s trusted partner for commercial door restoration. There is no commercial door that our team can’t fix or replace. We have the experience and craftsmanship needed for completing to perfection jobs like door replacement, repair, and new installations. Also, we work with the finest tools and equipment in the industry to guarantee superior results 100% of the time. 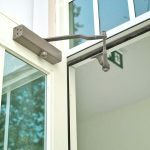 If you are a business owner that is looking for commercial door repair and replacement in Chicago IL, you must get in touch with the professionals at The Chicago Door People. If you want personalized advice, you can dial the following number (872) 206-3485. In a couple of seconds, you’ll be talking with a member of our knowledgeable team. You can ask any questions regarding your door problems and get a free estimate. Get from us High-Class Commercial Door Installation in Chicago IL within Your Budget Reach. Take a Look at Our Work Excellence!